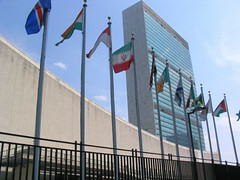 Among those who care about the fate of the United Nations it is widely assumed — and regretted — that the UN stood on the sidelines at the start of the global financial crisis, and let the G20, the International Monetary Fund and the World Bank take the lead in an international response. Jean-Pierre Bugada, chief of communication for France and Monaco at the UN Regional Information Centre, said the UN had “missed the boat” (1). The accusation is only partly true. More accurately, western states, with the UK and US in the lead, tried hard to ensure that the UN did not become a forum for discussion on the crisis, and the UN Secretary-General supported them. Briefly put, the states and institutions which generated the crisis took the lead in producing the global response to the crisis, doing while UN leaders supported this effort.